Bundled payment involves an agreement between a provider group and a payor for the management of a defined segment of care for an agreed price. A bundled payment would include one payment for all providers involved in the episode of care that is within the bundled area. All providers providing care within the episode of care are entitled to be covered under the bundled payment. The idea behind bundled payment is to place providers across the spectrum of the applicable care continuum at financial risk and to provide shared financial incentives. In theory, this forces otherwise disjointed providers to cooperate to better coordinate care and to coordinate at a higher level with other elements of the continuum of care. Bundled payment is one of the primary reasons why providers are mobbing toward clinically integrated health care systems. CINs provide a mechanism for providers across the continuum of care to agree upon protocols and other mechanisms to help them be more cost efficient in the management of bundled areas of care while maximizing the quality of care and outcomes provided to patients. As health care provider networks move down the path toward clinical integration, we are often asked to provide guidance on how information can be jointly provided to payors. The antitrust laws recognize that collective sharing of some pricing information, even by otherwise competing providers, can be beneficial and does not necessarily violate antitrust laws. However, there are significant limitations on what can be jointly provided and how the information can be shared. At the outset, it should be clarified that collective negotiations by competing providers who are not financially or clinically integrated should never take place and constitutes a per se violation of federal antitrust laws. Prohibited activities include any action in contemplation of or in furtherance of an agreement on fees or other aspects of reimbursement. It is unlawful for a non-integrated group of competing providers to agree on or suggest a central fee schedule. Any activity relating to prospective fees should be avoided. 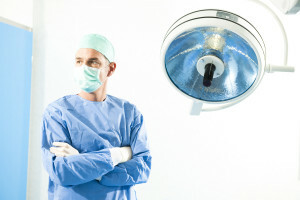 A Tennessee based ambulatory surgery center company has agreed to pay damages to a former employee who filed a suit alleging that physician investments in local surgery center entities violated the Anti-kickback Statute. 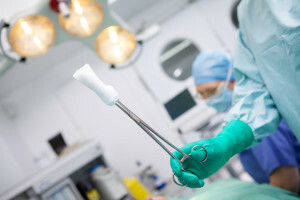 The case highlights some of the unique kickback issues that are present in ambulatory surgery center structure. Specifically, the case demonstrates how investment terms that are intended to assure compliance with the safe harbor regulations under the Medicare Anti‑Kickback Statute (42 U.S.C. § 1320a-7b(a)-(b)) can create evidence of non-compliance if the initial terms of the offering relate, in whole or in part, to the volume or value of expected referrals from the investor in the ASC venture. It is no secret that the role of primary care is central to the creation of systems to respond to health care reform and changing reimbursement models. To the extent primary care providers have not already relinquished their strategic positions by becoming employed, entering provider service agreements or service line management agreements with hospital controlled systems, primary care providers maintain a strong position in the market. Primary care groups are still faced with the need to create or participate in organizations that provide for the best means to manage patient care. Primary care groups are seeking strength in numbers by creating larger groups. The goal is to best maintain their competitive position, to diversify risk, to create efficiencies through shared savings opportunities, and to maintain appropriate levels of influence over care cycles, protocols and division of emerging, episodic-based payment. In order to achieve these goals, some independent primary care groups are considering merger with other groups. Oftentimes, merging providers will seek ways to maintain some degree of intra-office independence while still taking advantage of the benefit of a larger group. You are currently browsing the Wisconsin Health Lawyer blog archives for June, 2015.